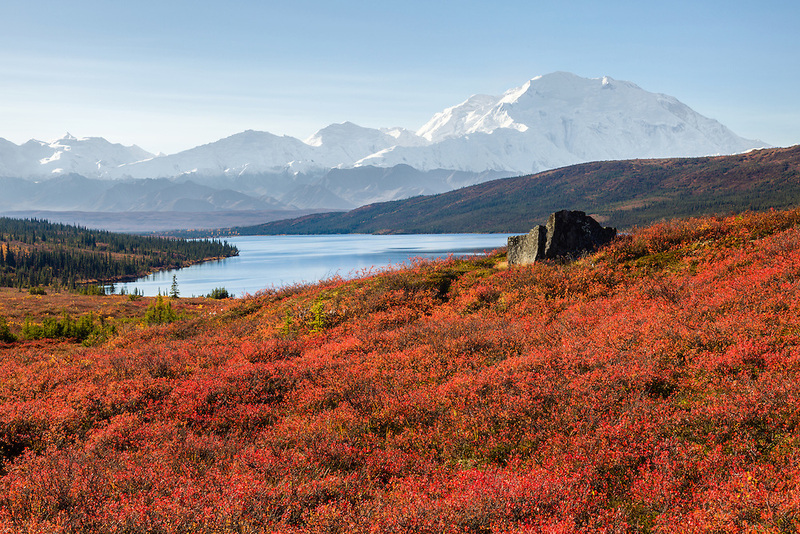 A ridge overlooking Wonder Lake is covered with blueberry bushes with brilliant red leaves and a boulder make for a great foreground to the Alaska Range and Mt. McKinley in Southcentral Alaska on a clear late fall day. Morning.